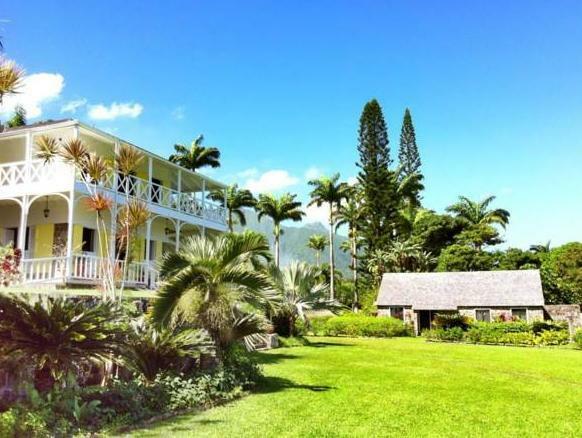 ﻿ Best Price on Ottleys Plantation Inn in Ottley's + Reviews! Situated on St Kitts’s lush green coast, Ottleys Plantation Inn has an outdoor pool, tennis courts and rooms with ocean views. It offers free transfers to Basseterre, nearby beaches and golf courses. Each charming air-conditioned room offers a balcony and a private bathroom with a walk-in shower and bathrobes. Rooms have a coffee maker, minibar and safe. TV with cable channels and DVD players are available on request. Ottleys Plantation Inn has a bar and restaurant, and room service can be arranged. Free Wi-Fi throughout the resort, and there is a gift shop and currency exchange at reception. Basseterre is a 20-minute drive from Ottleys Plantation Inn. Robert Llewellyn Bradshaw International Airport is 15-minute drive away.